Bad News For Mike Frerichs: Illinois Revenue Department Ruled He "Must Pay Up"
A candidate for Illinois Treasurer is facing new questions this morning, now being asked why he hasn't paid back taxes plus the interest. The Champaign County treasurer says State Senator Mike Frerichs, a Democrat from Champaign, owes $1,800 from bills that date back to 2008. But Frerichs and Senate President, John Cullterton say Frerichs shouldn't have to pay because it was Frerichs office which was taxed. They argue the office is used for public purposes. 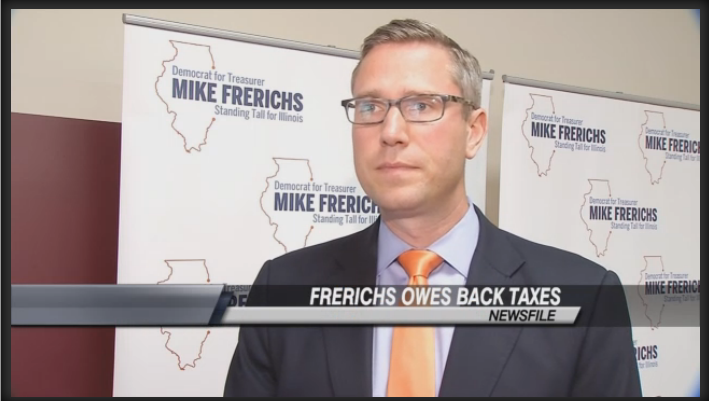 The state revenue department ruled Frerichs must pay up.